I'm having a hard time being disciplined in writing. I'm good with visiting blogs, it used to be the other way around. But now that I'm feeling better, moving around better, I am determined to get on track with my writing and taking pictures. I didn't spend a lot of time gardening this spring, just a few pots here and there, most of my work was focused in front of the city house. 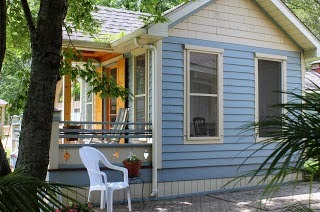 As you might remember, we had a new porch put on, and some new landscaping and such. I just added some pots of flowers to the porch and window boxes. I'll get some snaps for my next post. I took some shots of the kitchen. It really hasn't changed much in a year. I've learned from having company that I need more mugs, and as much as I like to use my everyday dishes, even melamine, people are awkward about that and want to know where the paper plates are. Personally I'd rather spend a few minutes washing up dishes than having bag after bag of trash. But its no big deal. All of my everyday dishes are from Anthropology. After the eighteen month wait to get back into my house after the flood, I splurged. I chose 4 different sets so I could mix and match them. The Ball jars have the metal lids; I collected a lot from barn and yard sales in the country. A buck or two will get you a large one. Clearly they don't know the craze for them, along with old alarm clocks, vintage kitchen scales, and and time worn linens. I always love a touch of whimsy in my rooms, here I have this joyous duck on the top shelf. The unexpected always gets the most attention. The opposite side of the kitchen is done with rich, dark, cabinetry...just a bit distressed. I really wanted that juxtaposition with the farmhouse style and reclaimed wood on the other side. 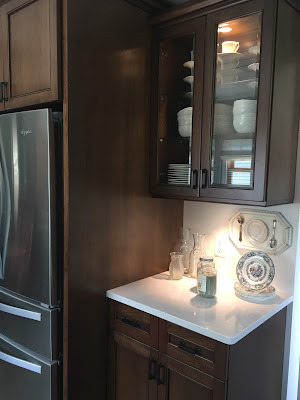 The cabinets have lights inside on the top, I love how that looks at night when the kitchen is clean and 'closed'... cue me yelling years ago to my four grubs, "Get out of there. Kitchen closed!" In this cabinet I keep white dishes by Gibson, which used to be my everyday dishes a few years back. There is an identical counter/cabinet are on the other side of the fridge. That cabinet has a set of old china I picked up at an antique shop well over fifteen years ago. And yeah, I'm saving them for when the Queen of England comes for a visit. Totally changing the subject, I was wondering if any of you Trader Joe fans have seen these spices. Emily picked some up for $1.99 each, and I nearly fell over. This is a great one. I've actually used it on meats, in salads, and of course, on bagels. I've been tossing out a lot of my spices little by little. They have very little strength and aroma after 6 months. I now know to get the smaller containers of turmeric, curry, and such. 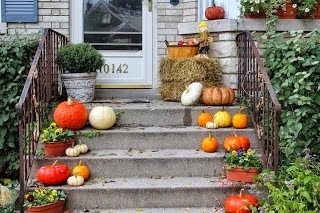 How about pumpkin pie spice and poultry seasonings? What a waste. I've been in some cute culinary/cooking shops, a little on the trendy/expensive size, but I think it might be a good idea to buy some small packets of these rarely used spices. Trader Joe may be the place to find replacements. On to some cooking. I've mentioned many times that I like to clean out my fridge by making soups, stews, quiche, and stir fry to use up veggies before they go bad. That said, I haven't been going to the grocery store much as A) I can't lift and carry those bags into the house in multiple trips. Its just something that makes my back pay for it later., at least for now. B) With going to the lake all the time without The Husband, he doesn't know the first thing about cooking so he just needs some frozen dinners, canned soup, English muffins, and Raisin Bran. Even then, he usually orders food or picks it up from a fast food place. I stopped using packaged, frozen, and canned food with preservatives a few years ago. It wasn't a huge challenge because I've always loved fresh vegetables. The challenge was always using them up before they spoiled. So long story short, I'm not ashamed to admit that I've been relying on these frozen goodies as I heal. Surprisingly, Bird's Eye makes a mixed bag of vegetables with a (rather salty) packet of teriyaki sauce. It's a 3 pound bag with two packets of sauce. I made it according to the directions the first time. 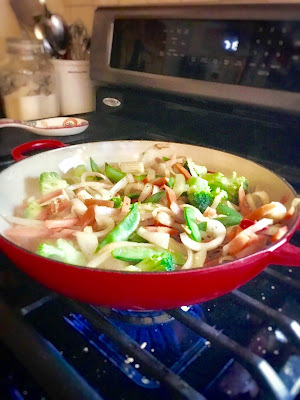 The second time I sautéed some onions and chicken strips in sesame oil before adding in the bag of veggies. Leave it to me to tamper with something meant for ease. Still, my love of cooking is lagging behind. I've also learned to love frozen peas and carrots. I throw them in everything. 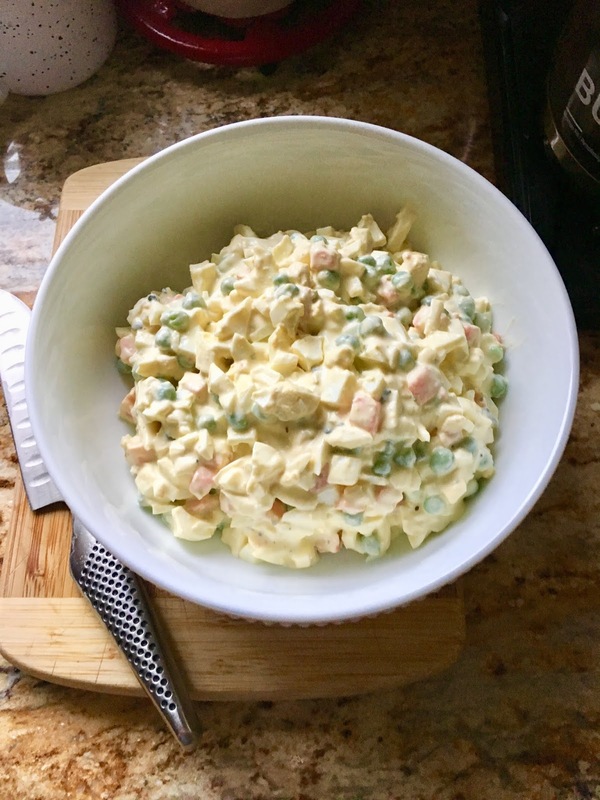 I made egg salad last week and heated up a small bag of them to add to the mix. It was a really nice difference and added some crunch. I served it over a bed of iceberg lettuce. For the record, my salad includes chopped, boiled eggs, mayonnaise, a small amount of chopped shallot, celery, garlic and onion powder to taste. NO salt, you'd be surprised how much mayo has. This is not my photo, but I felt it gave a really good idea of how delicious these fish tacos are. I am loving making them, and I usually serve them buffet style, which takes away a lot of extra work. I had something similar in San Diego a few years ago, and you can now find them on a lot of restaurant menus in the Chicago area. I hope you give the recipe a shot. I took the best ingredients and methods from a few recipes on Pinterest. This is a somewhat spicy dish, but the heat is mellowed out by the slaw and creamy avocado dressing. Combine all of the avocado-cilantro sauce in a food processor or blender until well combined. Use the veggie oil to lightly coat your grill or grill pan. Cook the fillets over high but not direct heat, 4 minute per side. This can also be done in a heavy skillet on your stove. Remove the fish from the heat and if desired, warm the tortillas for 30 minutes on each side. This recipe is not as busy as it sounds. I make my sauce and slaw the day before and keep it refrigerated. The spice mix can be made ahead, in fact, you might want to double or triple the ingredients as it makes a tasty seasoning for all types of fish and meats. I've been doing sooooooo much reading while I recuperate. Obviously I'm not trotting off to Barnes & Noble; so its a lot of Amazon searches, blogger recommendations, book reviews in the newspapers, and magazines, etc. 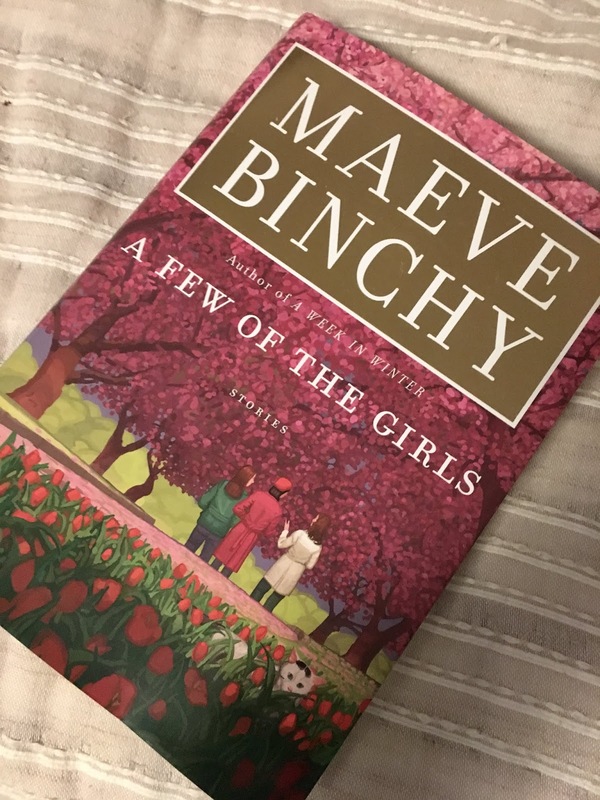 I walked into the book aisle at CVS last week and nearly died when I saw this book of short stories by Maeve Binchy. Now, if you are a fan you know she passed away a while ago. I've caught up on a lot of her books I hadn't read over the years, and then sort of felt lost knowing there would be no more. Well, here we have a book of her short stories complied by her husband, Gordon Snell. Its copyrighted 2015, so maybe you've seen it. I'm just three stories in, and oh, how I love short stories and meeting new characters and plots. I have to admit though, I'm sorry when a story ends when I've become attached to the people. I'm loving it. I have a final appointment with my surgeon in 2 weeks. Yay. I am totally off prescription pain medication other than a muscle relaxant as needed. I'm doing some upper body weight lifting; hand held weights, ten pounds each. I'm also carrying and lifting as much as thirty pounds. I can bend over and touch my toes. Amazing considering I have 2, three inch clips screwed into my lower back. I will say it was excruciating during the first two weeks, and the fog of the Norco made everything surreal and upsetting. I don't want to look back. Milo is having a lot of problems, mostly from his age as the cancer is still in remission. He has lost a lot of strength in his hips and back legs. Over a week ago he was falling at minimum, ten times day. Sadly, I had to lift him back up as he simply slid on the wood floors and fruitlessly struggled to get up. I constantly worry about him when I'm out. My vet is always one step ahead of me. In addition to a low dose of pain meds, he started him on an anti-inflammatory, and after about a week, he stopped falling. Near the end of the day I can see him standing, and the back legs quivering, but its not changing his quality of life, and that's what I have to be cognizant of. Fingers crossed, toes crossed and sending prayers to that big guy above. I have a busy week ahead here in the city: my eight week hair appointment, my annual dental check up and teeth cleaning, Layla's vaccinations at the vet, and the Garden Keepers doing some backyard weeding, trimming, and clean up... a pure luxury for as long as I'm healing. Wondering how long I can stretch this out!!! ;-D Then I'm off to the lake to prepare for our 4th of July bash. 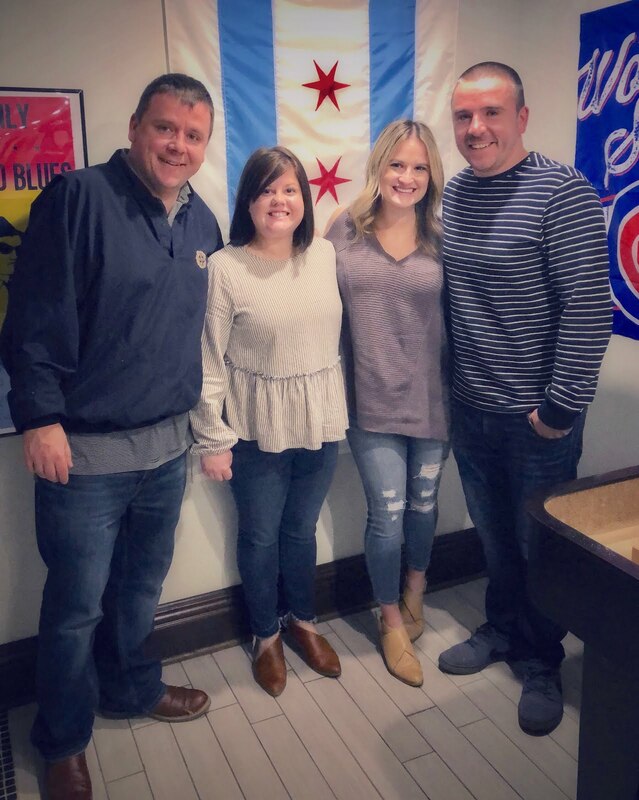 Emily, Mike, and Madelyn will be up days before and they are a huge help. And The Husband is actually taking time off work. He works way too hard. And his birthday is July 2, so we'll have a nice celebration up there. He's there right now, at the lake. He went yesterday morning to do some work and he sat back tonight with a few beers and thought better than to come home. He'll be back bright and early tomorrow. Okay, I'm off. I actually have a lot more random stuff to share but I'll hold off. You are probably sighing in relief! Ha! Love your kitchen at the lake. Glad you are healing! So glad your back is doing well now. I know it is still a recovery period, but hopefully the worst is over. I go in for my back surgery tomorrow. A bone graph, 2 rods and 4 screws and I am supposed to be good as new. I hope so. So glad to hear you are doing well, Jane. Love those open shelves at your lake house! I haven't seen those short stories by Maeve Binchy but I will look for them now. Happy Summer! Jane, I love seeing other people's kitchens! You obviously have a knack for arranging open shelving attractively, not an easy thing to do, I've found. I love your mix of textures and of course the duck draws the eye--she looks so optimistic! I always like your cooking advice and wrote down the TJ's seasoning as I saw it mentioned somewhere before and forgot to look for it. I've been trying to include carrots daily now but never thought they came frozen, which would be a good backup plan. We both love egg salad so will try that. I'm definitely looking for A Few of the Girls! I was so sad to hear she's gone now, makes me want to reread them all. Love the kitchen! AND.. hearing how well you are doing!!... Have a wonderful week - and a Happy 4th and birthday celebration. Thanks for the fish taco recipe - YUM! Poor Milo. He's lucky to have someone who so looks out for him. And I'm glad to hear you are doing so well and off the pain meds, too! Yay -- those lake trips will be much easier now, just pack LIGHT bags! We'll be north for the Fourth too. And I'm with you. I'd prefer to use the regular dishes most of the time, papers for quickie things like a sandwich on the beach or something. Most of the lake dishes are inexpensive (or have been there a LONG while!) but at home I go a little nuts on dishes for every season and all. If I'm getting papers, though, I'm getting the cutest paper plates I can find! Its always a treat when your new post comes up,, you sound like you're doing great and I'm so glad its over with so you can enjoy summer!!! Take it slow, I know you are. Isn't it amazing how busy life gets. We are retired and always busy. Enjoy. Glad you're doing well,Jane. Love your blogs. Happy 4th! It is good to read that you are improving. Your kitchen is lovely, but so are all the rooms that you have shown us. You have marvelous taste. That recipe sounds wonderful and being able to make some things ahead makes it doable for me. Glad to hear your back is on the mend, that must be so painful to endure! Prayers for little Milo... they become such a big part of our lives. I'm not able to tolerate spices well, but my husband would enjoy that fish taco recipe I'm sure! Perhaps I'll jot it down and give it a try for him. Your home is coming together very nicely :-) Enjoy the rest of your afternoon! Hi Jane! Happy to read a post from you and know that you're gaining a resumed sense of normalcy. Happy also to hear Milo is still hanging in there. The recipes look good, I may try that twist on egg salad. Enjoy the 4th and let the kids do most of the work! I love that kitchen and don't remember seeing all that shelf detail! Nice to see beautiful cups and plates in your kitchen. Love the teapot. Glad that you are feeling better my friend! Happy birthday to your husbnd my friend! So glad you are feeling stronger and are enjoying the summer. I am so sorry about Milo, I was in that frame of mind with Max for 18 months, constantly looking for him, listening to hear if he was having difficulty getting up. It was very hard. Sending you a hug. I am so glad to hear that you are on the mend and able to do so much. I am really impressed, actually, based upon what I have heard from others who have had similar surgeries. Sounds like you have a smashing Fourth of July planned, and I hope you have a great summer. 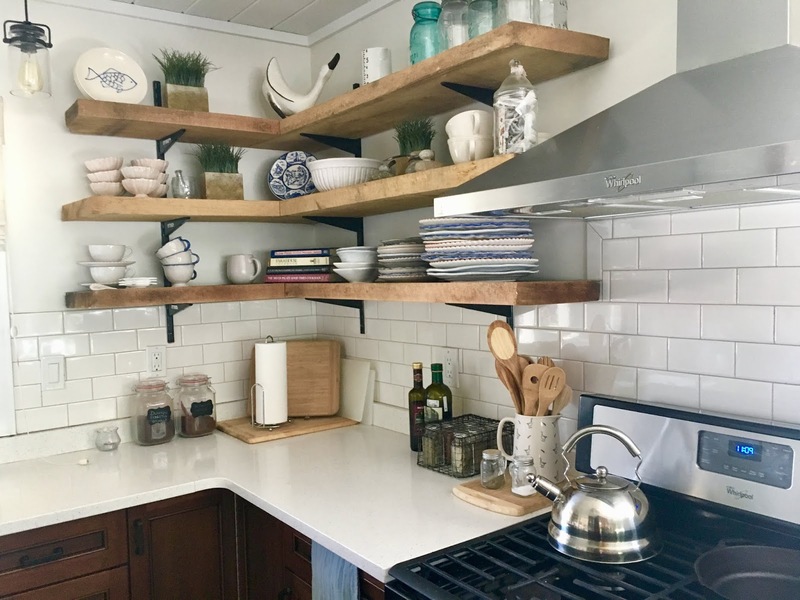 I love your lakehouse kitchen with the open shelving and the subway tile. You know I'm a huge Trader Joe's fan...I love that seasoning you featured. I'll share one of my favorite things to do with it: take organic baby red potatoes (they have them there at TJ's), cube them up and toss with either olive oil or ghee (again, TJ's has that, too) and sprinkle on that seasoning. Then roast them until nice and crisp. OMG, the flavor with that seasoning is so delicious! Two of my other favorite TJ seasonings are their garlic salt in the container where you have to grind it - I use it on everything - and their 21 Seasoning Salute. That's too bad that your library has such long waits on the books. I mainly use a neighboring library and they have a wonderful selection, including the best sellers and I've never had to wait more than a week for a book. Like you, I find mistakes in books all the time. I just finished one of Susan Branch's books and found about four spelling errors and a few grammatical errors, too. I was really disappointed about that, especially in her book. Who are these editors?! Your back progress sounds amazing. I'm assuming you've started PT? I'm so sorry about Milo...it's so hard to see our older pets losing strength and mobility, as well as their other problems. I try to love on Zippo as much as I can, every day. I know my time with him it so limited. 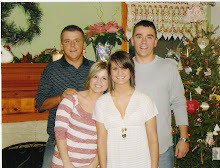 I hope you have a great time with family at your lake house, celebrating your hubby's bday and the Fourth of July! Okay Jane, here goes......Love the open shelving; I bought the Trader Joes bagel spice and always forget to use it. 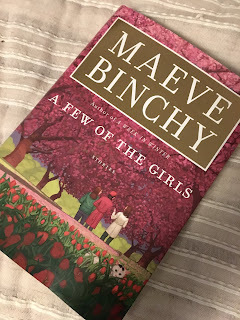 Love Maeve Binchy books and need to see if there are any I haven't read, otherwise the short story book looks intriguing. Glad to hear you are getting your strength back -- don't overdo it! So sorry about Milo, but it's encouraging that the pills are helping him. I always enjoy your posts - they are like reading a chapter in a good book! Happy 4th! It's so good to see a post. So many are no longer blogging, and I get that. Life happens and social media has changed blogging a lot. So good to know you're doing well, and Milo is hanging in there, bless him. 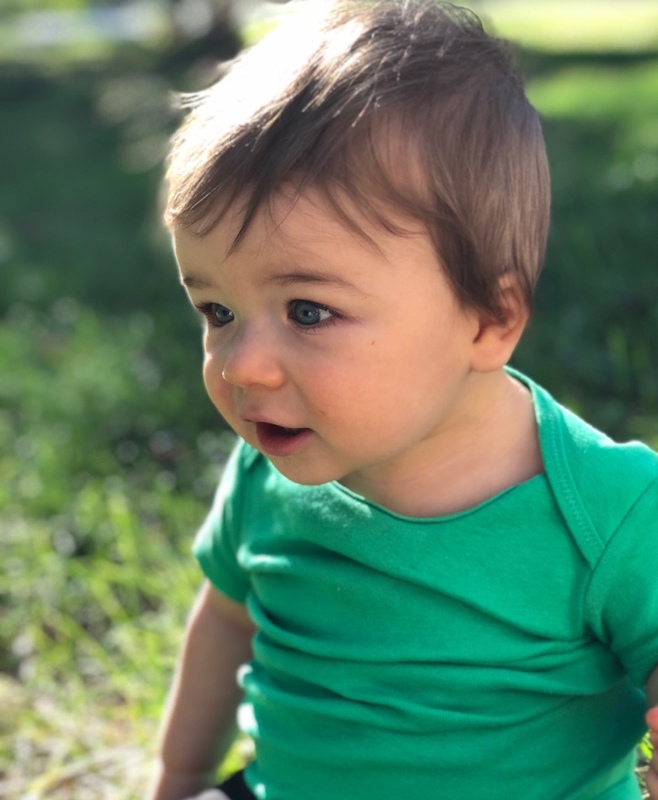 Love seeing what you are up to:) Happy to hear that you are on the mend, getting some good relaxing done at the lake house and loving on Milo! Enjoy your day dear friend, kick you feet up when you can! HUGS! I'm so glad to hear that both you and Milo are doing better. And I understand your excitement about finding a new Maeve Binchy book. I have a few favorite authors that are taking a long time to write the next book and I wish they would hurry up! It's so sad when a favorite author dies and there are no new books to look forward to. P.S. 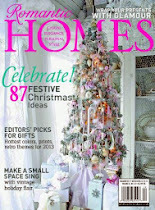 - Is there a way to subscribe to or follow your blog? I've looked all over this page and can't seem it. I'm glad that you are doing so much better. Healing takes a long time (and longer as we age...) I know what you mean about wanting to throw a book against the wall. Sometimes reviews are so unreliable. Your lake house kitchen is so attractive - love it. I was shocked that people would be uncomfortable about using real dishes in place of paper plates. I don't know anyone who uses paper plates at home, only on picnics. Things are different in different places! Have a good start to summer and take lots of time to relax and read! Well it sounds like everything is coming up roses for you..at last..no more Rx apart from a muscle relaxant is a gift. I did buy that TJ EBTB..I will get another next time we drive 3 hrs to get to a TJ..and 3 hrs back..or I will get in Fl next time..That too lasts forever for me. I only buy art books..
A woman saw me reading my Kindle(I did just buy a book there..medical..)..and suggested the online library..Jacques and I are hooked. Books weigh so much..take up too much room in our home and I feel guilty saying that. A cookbook is still welcomed..to receive and to give..but it has to be GREAT. Good for you and your dishes..some of our Fl friends favor restos that have paper plates and plastic cutlery. Never in a million yrs for me. I know I have many typos and missing letters..my keyboard..:(Is missing letters and I type w/ 2 fingers. I truly believe..that you must be very compassionate. Once you have been in pain hell..it makes you so much more aware..of everything around you. I'm so glad you and Milo both are doing well. That spice sounds amazing and would be good on so many dishes. We don't have TJ's close by, but if we did, I'd be there weekly. Your kitchen is beautiful! Hope you enjoy the 4th of July! I'm so glad you are improving! Jane, good to see a post from you, though I'm late reading it. Busy time with little computer time, but I myself finally got another post up today. Love seeing your kitchen and hearing about your summer. I'd be at the lake round the clock! Good news on your improvement and glad Milo is getting some relief. I know that makes you feel better too. No to paper plates from me. I like cloth napkins too. I don't mind the washing! Thanks for the headds up on the short stories. I'm going to find a copy. Love Maeve Binchy's writing! Happy July and have a festive 4th! As I had a bit of free time this morning I decided to pop in and catch up with all that's going on with you,I always enjoy hearing about your daily life and who's been doing what and where. Glad to know you're feeling so much better and that Milo, the little tyke, is keeping on keeping on, I know how much he means to you. Have a great time at the Lake House and a wonderful 4th July. I'll be back again soon to hear all about that very special celebration. Happy 4th of July! 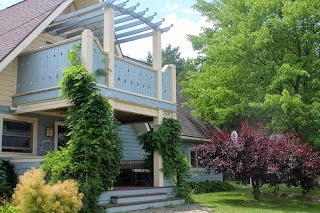 Have a wonderful time at The Lake House with your family:). I'll keep Milo in my prayers, I do understand. My little doggies was very happy to see me when I came home from visiting my family in California, in fact one's squished by my side:). Sadly Norco is what's keeping my mom's debilitating pain in check. Your sweet kitchen is a delight for the eyes! Yay for that back feeling better and Milo too! 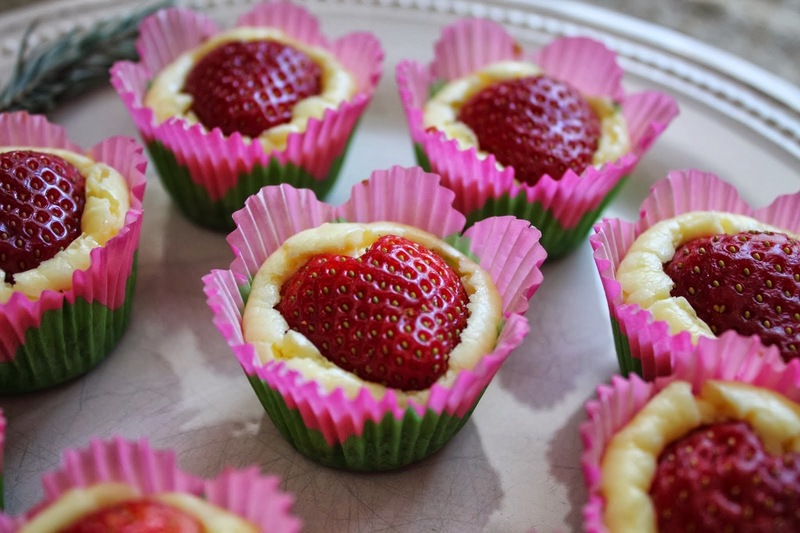 So much beauty, yumminess and fun in this post! I know you are just loving summer dear lady. 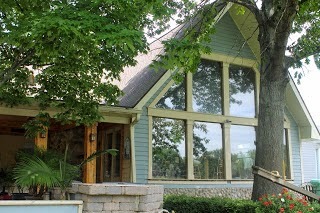 We’ll be up at a friends lake home today on Klinger. Always gives my husband the itch! 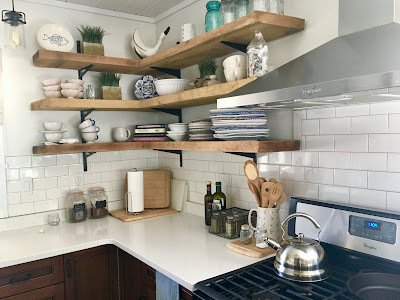 Your open shelves make me swoon! 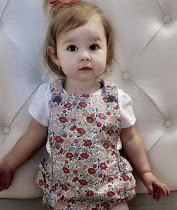 Always love your sweet posts! It sounds like you were feeling better in this post from late last month. Yay! I hope you had a wonderful 4th of July and are continuing to recover. My elderly Tucker's hips and back legs have also improved with lots of daily pain killers and biweekly shots of glucosamine - falling much less often. I hope you continue to enjoy your summer! Jane, I love the kitchen!! 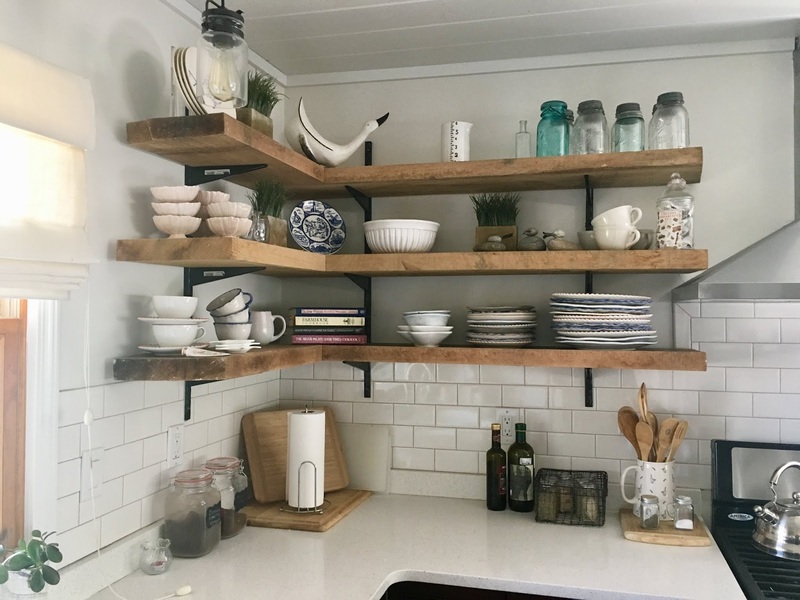 The open shelves are wonderful and I'm a little jealous about your pretty dishes. About books - I get most of them at the library. Years ago I realized I wouldn't read a novel more than once so I stopped purchasing them. I love the library! I hope you are feeling well friend. Glad you are feeling better. I am going to have to read some of your posts to catch up. I have been inattentive to my blog but just put a post up. It's only been 6 weeks! I do love the kitchen and Anthro dishes are the best! Always so whimsical. I dread it when my pets start to age, all we can do is keep watch for changes in them and keep them comfortable when the time comes. Yours have such a nice life. Maeve Binchy short stories? I will have to look for that. Loved her books. Hope you enjoyed the 4th. 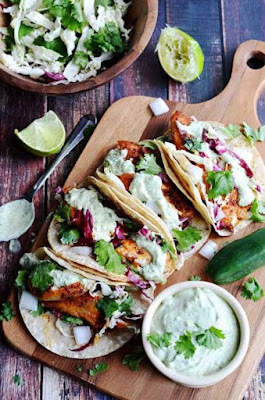 All your recipes look so good except for FISH tacos...I loooove tacos but don't do fish. My daughter loves fish tacos, tho. I am happy to be catching up with you this morning and only realized at the very end that this post was from the last part of June. It’s wonderful that your back is healing nicely. Slow and steady as you continue to recover. 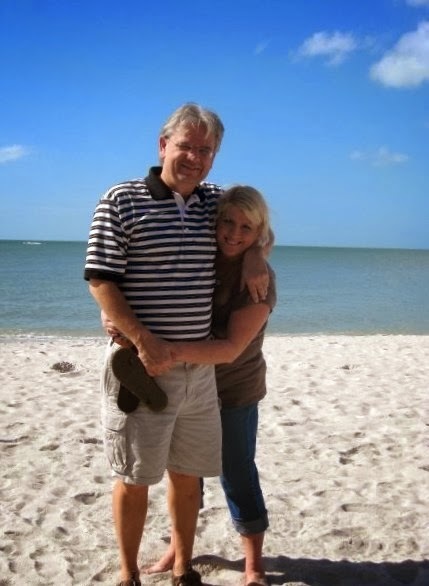 I really love reading about your days whether they are spent in the city or at the lake! Hey Jane! Wow you have had a lot going on! I loved seeing your vignettes. So pretty! Love the duck especially. I agree with the Amazon book reviews not being very good. I've read a couple lately that I didn't even finish and they were supposed to be page turners... you never know what to believe. I am a huge fan of shrimp tacos! I love cilantro and the sauce sounds amazing. Your 8 week hair appointment got my attention because just yesterday I've decided to start making a standing appointment with my hairdresser. I get a cut that I like and then it morphs into something else and then I start to grow it and then I end up getting it ALL cut off... it's crazy. So... I'll get the cut I like and get it trimmed every 8 weeks... genius idea LOL~ Good to get caught up with you! I've just recently started back blogging. Mostly to have some accountability with my projects. 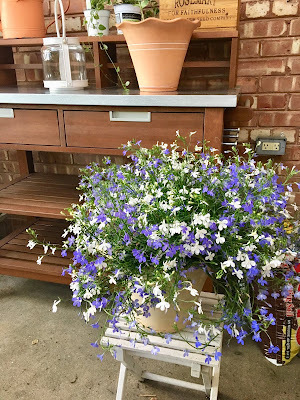 We have so much going on with house projects that I thought if I blog them I'll actually maybe finish them... the details are always slow to get done.. sometimes years. Have a great weekend! So happy to hear that your recovery is going so very well. It must be nice to take that ride to the lake without a lot of pain. Hope your 4th was great. Enjoy your summer. I have not sewn / quilted / appliqued or done a thing in regards to my sewing hobby but have been reading my heart out :) Several reasons but for the most part I think that reading is not as easy here in the winter and I am taking advantage of the natural light out on the front porch in the times that it is not too hot. I've gone back through the Mitford Series by Jan Karon and now the Jean Auel series....supplementing what books I didn't have via the library. Why must you wait so long, one and a half to get the house really after the flood? Hi Jane. I always love visiting you. I have been pretty blog-lazy this summer. Just busy. I am so glad that your back surgery went well. I have friends who have had the same surgery and still they struggle. You should write a book. What would you write? A cookbook with stories. Poor Milo. I am so sorry.Our dear pets break our hearts and the wounds are as hard to heal as if we lost good friend. Well, that that's exactly what is. I think part of the problem with today's publishing is that people are self publishing. Amazon makes it so very easy and as an English major and teacher, I cannot tolerate bad writing. I grew up on the classics, so there. While Diane Gabladon (Outlander) spins a wonderful tale, has created memorable characters, has her story on STARS TV, her commas drove me crazy. I am I picky or what? Anyway. I appreciated you comment on bad writing. Have a fabulous weeks, and thanks for you kind thoughts about Boone.